London is a great city (and, surprisingly perhaps, a great city to cycle in), but that doesn’t stop droves of London cyclists leaving the city every weekend to get their fix in the country, and no wonder! There is some incredible cycling to be had in the countryside just outside London, where both new and experienced cyclists can unwind and get back to nature with a bit of time on the bike. There are a few things you should think about before booking your weekend away. Does the hotel have safe bike storage? Are there good routes in the area, and if so how challenging are they? Is there local bike hire? But a precious cycling weekend out of the city shouldn’t be spent worrying about too many details, so we’ve done all the hard work for you by providing a few of our favourite hotels and B&Bs for a cycling weekend outside of London, including bike hire options. Just 40 minutes from London Bridge by train, Sevenoaks is one of the best – and closest – weekends away from London. The town itself has a 13th-century market square and busy high street, and plenty of eating and drinking options. But it is the countryside around the town that is the real attraction. Just outside the town are Stable Cottages, a quiet and very reasonable B&B with secure cycle parking – perfect for getting straight out onto the road! Beginner cyclists can spend the afternoon exploring Knole House, Hever Castle and Churchill's home of Chartwell, all of which can be reached by bicycle on quiet country lanes. Bikes can be hired from Cycle-Ops in nearby Tonbridge. 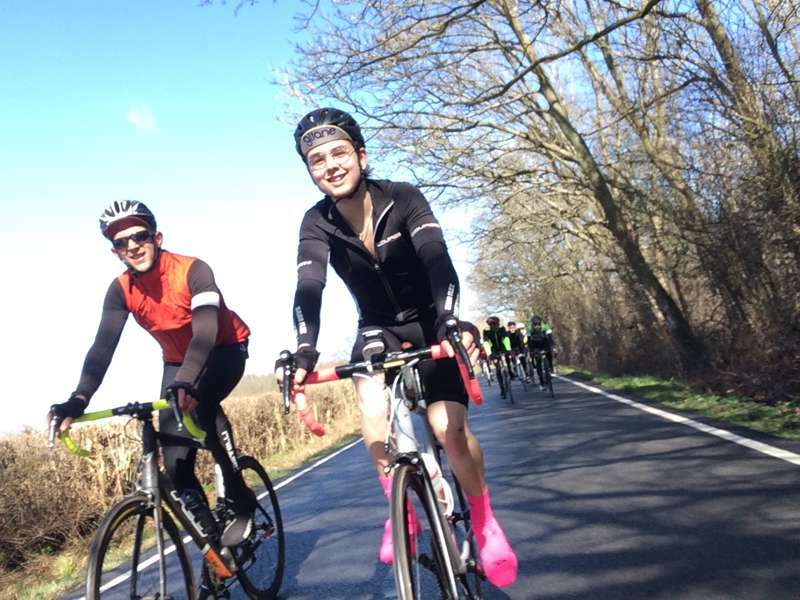 For the more experienced cyclist, North Kent also has some more testing offerings – from the fantastic and challenging climbs of Toys, Ide and Brasted hills to the beautiful and fast wooded lanes of Ashdown Forest. Thanks to the 2012 Olympic road race, and the increasingly popular Prudential Surrey 100, the Surrey Hills have become a mecca for cyclists all over the country; if you haven’t attempted Box and Leith Hills, then you can’t really call yourself a serious cyclist! The Hills offer much to all levels of cyclists, whether you’re looking to test yourself on the aforementioned Box and Leith hill combo, or pootle around country lanes. Due to the popularity of the area, you will also find many cyclist-friendly cafes, pubs and restaurants in which to stop at and mix with the local cycling crowd. The Running Horses in Mickleham offers secure storage, good food and is right at the bottom of Box Hill. What more could you want? Those without bikes can also hire from nearby South Water Cycles. With rugged and sometimes unforgiving terrain, the Peak District contains some of the best cycling in the country for the more experienced rider. Tough climbs, with extra climbs on top, await, but so do amazing views and free-flowing descents. The small town of Bakewell holds many rewards for your efforts, in the form of rural country pubs and quaint tea rooms – and River Cottage, just outside town, which has a secure garage for bikes, route recommendations, spacious and comfortable rooms and a beautiful garden. It's a perfect base from which to explore the Peak District by bike. Bakewell also boasts one of the best cycle hire companies in the UK. Glory Days CC, which specialises in the hire of vintage, steel-framed road bikes, fully restored to their former glories. For just £30 a day you can hire one of these vintage machines and invoke your inner Barry Hoban in a true cycling Mecca! North Norfolk has been a popular destination for escapingLondoners for a few years now, and it’s largely down to The Hoste, a boutique hotel-restaurant in picturesque Burnham Market that is perfectly located for exploring North Norfolk’s endless beaches and excellent cycling roads. With villages like Wells-next-the-Sea, Holt and Hunstanton all within easy cycling distance, and miles of coastal roads and country lanes to discover, it is a perfect place for exploring the region by bike. The countryside around is also pretty flat, so great for beginners – although there is plenty for more experienced cyclists too. The Hoste has secure bike storage and its own bike-hire option if you're happy with ‘sit up’ Dutch- style bikes to take to the beach. For longer rides, check out Norfolk Cycle Hire. Two hours' drive or train south of London, the New Forest is a fantastic place to cycle, with quiet roads, breathtaking scenery and even some wild ponies to share the road with. The terrain is mostly flat, so perfect for beginner cyclists or anyone looking to log some big miles. There is also much in the way of off-road trails for the keen mountain biker. New Forest Cycle Hire offers a range of bikes at very reasonable daily rates, and the nearby Forest Park Hotel is perfectly located right in the middle of the Forest in Brockenhurst, and is easily accessible by road and from the train station. Double rooms are comfy and wellpriced, and there's a good bar and restaurant, serving high quality locally sourced food. This blog was written by our friends at Dirty Wknd, the experts in UK cycling weekends. Visit their site for more information.